A Flutter plugin that allows you to check if an app is installed/enabled, launch an app and get the list of installed apps. This plugin was inspired by the plugin AppAvailability for Cordova. First, add flutter_appavailability as a dependency in your pubspec.yaml file. 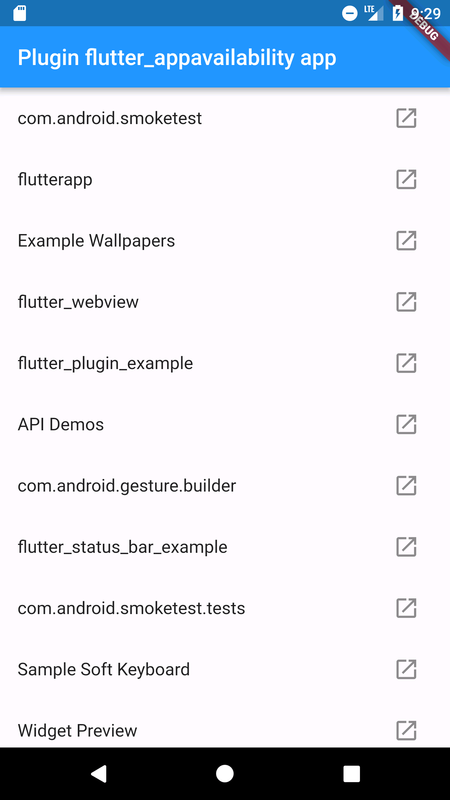 Here is a small example flutter app displaying a list of installed apps that you can launch. // iOS doesn't allow to get installed apps.